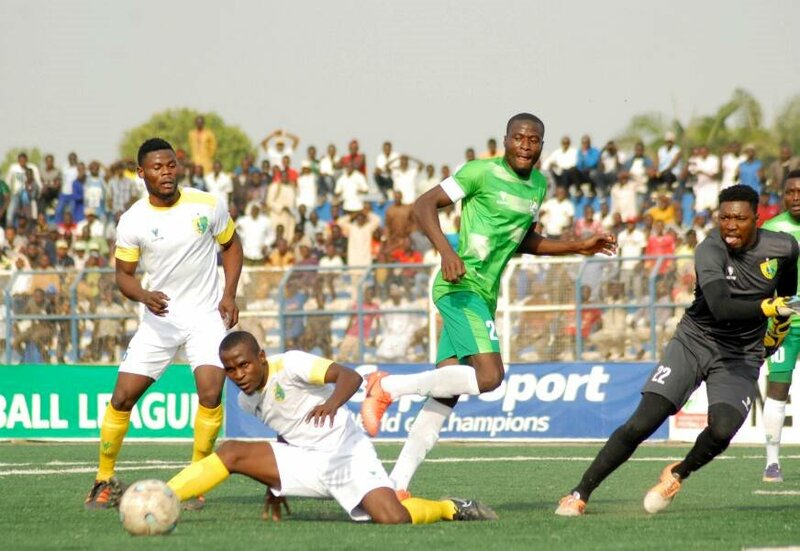 The new Nigerian Professional Football League (NPFL) is just in its first week but the same old story of violence at match centres has reared its ugly head again after angry Nasarawa United fans descended on the club chairman Isaac Danladi and match official. The fans vented their anger on Danladi and the match officials after the team suffered a disappointing 1-0 loss to champions Plateau United courtesy Raphael Ayagwa’s 87th minute strike. The fans slapped, assaulted and pulled the ear of Danladi while they almost stripped lady referee Mimisen Iyorhe naked because of the home defeat to Kennedy Boboye’s team. The match officials were attacked during and after the NPFL game and it took the intervention of heavily armed security men to get them to safety after the game. Lady referee Iyorhe was heavily on the receiving end as she had her officiating uniform almost ripped to shreds and it needed heavy armed security men to get them to safety. In a statement released by the Nigeria Referees Association (NRA), the body condemned the crowd trouble at the Lafia Township Stadium. The statement from the referees body also confirmed that the referees for the Nasarawa United game were “seriously brutalized leading to disturbing health conditions”. In a related development, the fan who slapped Nasarawa United chairman Isaac Danladi has been arrested while the hunt for other perpetrators has already been initiated.